Ofcom has awarded its local London TV licence to Evgeny Lebedev's London Evening Standard. The TV contract for Europe's largest city had come down to a shortlist of five media consortia, with the Standard's victory now paving the way for the biggest broadcasting launch since Channel 5 in 1997. The Evening Standard will call its new channel London Live, and promises to harness the existing newsroom of London's evening newspaper and its national stablemate, the Independent. The symbiotic relationship with its existing news operations has attracted support from Peter Bennett-Jones, formerly of production house Tiger Aspect, and the former Ofcom boss Stephen Carter. London Live will become the eighth digital channel on Freeview as well as plans to host it across Sky Channel 117, Virgin, Freesat, IPTV and Video on Demand. Awarding the licence, Ofcom said London Live had demonstrated "the greatest understanding of London's diverse communities", and that "proposals covered a significant range of subjects and would therefore meet the needs of local communities to the greatest extent". 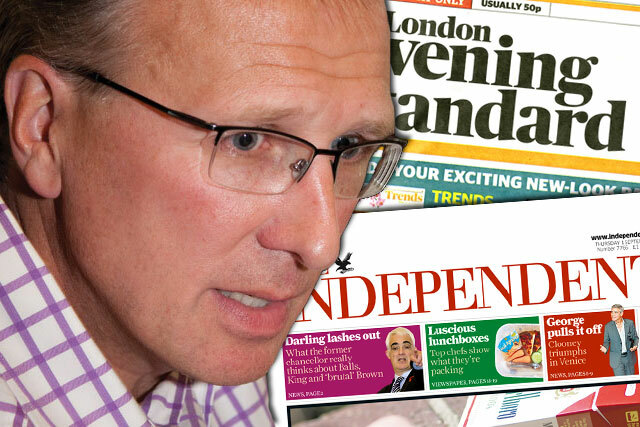 The regulator also noted the Evening Standard was in "a particularly strong position to launch and maintain its proposed service, given its proposals for promoting and marketing the channel," referring largely to plans to promote it regularly within pages of the Standard, Independent and i. Evening Standard's managing director, Andrew Mullins, told Media Week: "We want to provide outstanding London orientated TV to all Londoners, both workers and residents, in a relevant, entertaining and informative format. "It’s called ‘London Live’ because we believe breaking news, relevance and topicality are critical and we want and will encourage all Londoners from across the capital to engage and participate in our news and current affairs programming." The new station will reach four million homes and Mullins said it will be supported by "at least £5 million worth" of media activity in its first year. An official launch date has yet to be set with the new local TV ‘multiplex’ operator, Comux, but it will be late 2013 or early 2014. Lebedev said he was "absolutely delighted" with the contract and called it, "a testament to my management team here and the staff across both newspapers". He added: "Through the Evening Standard and Independent, we have proved time and again that we can deliver fast, accurate, high quality breaking news, features and analysis and we are looking forward to applying these skills to London Live." The other contenders involved in the the bid were London8, LondonTV, Made in London and YourTVLondon.